You can only top and tail your baby so long before it's time to take on the challenge of bath-time! There are a few things that have made it easier for us and have helped to make our little boy more comfortable, meaning fewer tears! 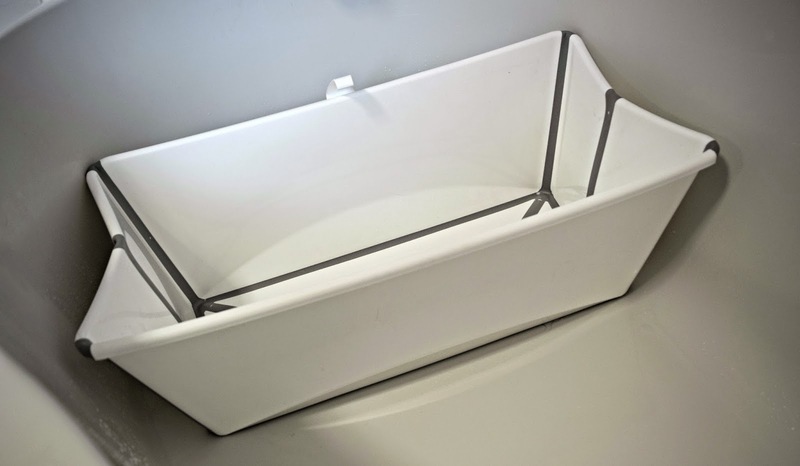 We bought the Stokke Flexi Bath which sits perfectly in our full size bath, meaning our little one doesn't slip around and that we can fill it quickly and efficiently whenever we want to bathe our boy. 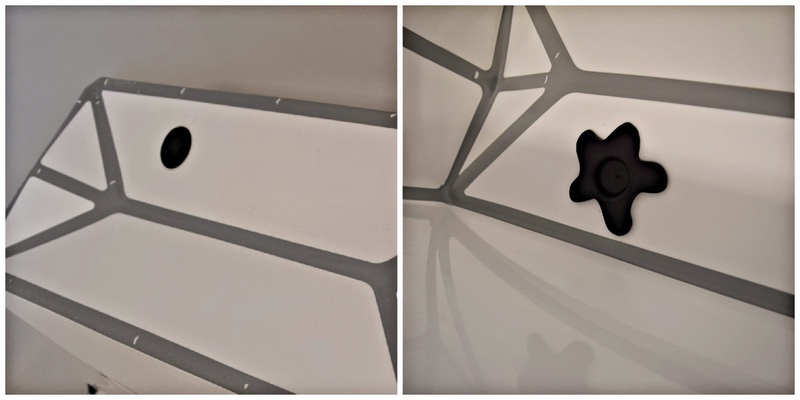 The design means that you can fold it away whenever it's not in use. A handy feature given how much space a baby bath can take up in your bathroom. To help keep it collapsed the Stokke Flexi Bath also has an easy to use clip. It comes in five colours, although we went for the white as it is less obtrusive when folded away in our bathroom. Baby baths are heavy when they are full so the fact that the Stokke Flexi Bath has a rubber plug in the base means you don't have to put any strain on your back when it comes to emptying it. Our second bath-time purchase is the Angelcare Soft Baby Bath Support which is sure to arrive super quick if you order via John Lewis click and collect. The base is made of white plastic which makes it sturdy, while the hammock-like support, in pink or blue, is angled so that you can keep your little one's head out of the water if you wish. We have found that our boy likes the fact that he is almost sitting up and think it is, partially, what has kept the tears at bay so far. The Angelcare Soft Baby Bath Support has a handy rubber loop which makes it easy to stow away between uses; we hang ours on the back of the bathroom door. The Angelcare Soft Baby Bath Support fits snugly in the Stokke Flexi Bath so, if you combine the two, you have the option of putting it in the smaller bath, or filling your full-size tub. We have been doing a combination of the two, depending on whether we have the time for a shared bath (a favourite for bonding between my husband and our little boy). 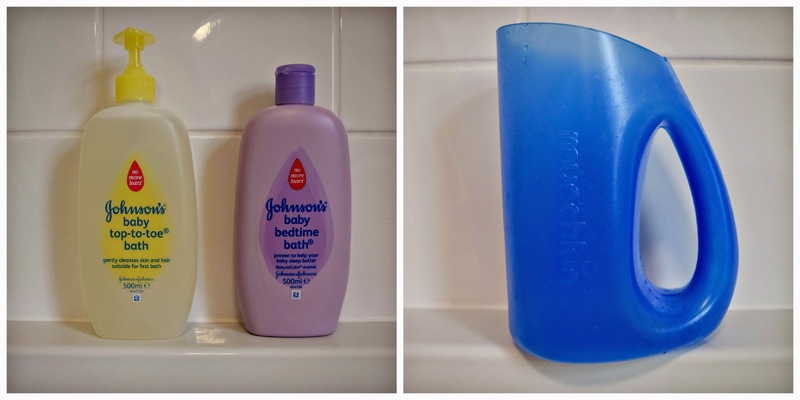 When we first bathed our boy we didn't use any soaps, but now we use Johnson's Baby Top-to-Toe Bath which is mild on his skin and doesn't seem to sting his eyes when we wash his hair. We've also started using Johnson's Baby Bedtime Bath which is designed to help lull your baby off to sleep due to the fact that it contains NaturalCalm, Johnson's "patented blend of natural aromas". It's a great bath-time treat if you bathe your baby at bedtime. We use Munchkin Soft Rim Shampoo Rinser and, although it seems like an extra purchase that is a tad unnecessary, it prevents any bumps with sharp edges when our little one is wriggling around in the bath while we're trying to rinse his hair.